Poop, pirates, police chases. Like excitement? This is where it’s rat. The holidays are over. 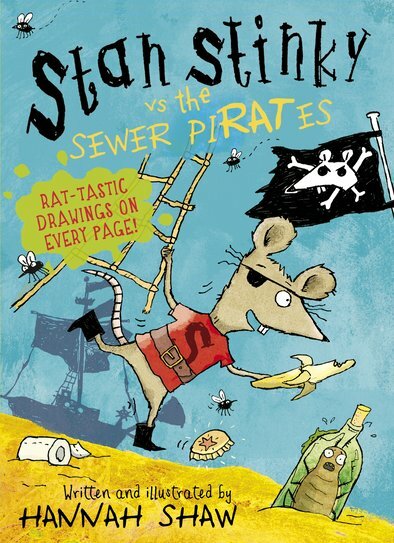 Stan Stinky, heroic sewer surfer, is back at school. Yawn. Everything is boringly normal – until a burglar strikes. Someone’s been looting the sewer! But then Stan’s uncle, Captain Ratts, becomes the chief suspect. Stan must find the real culprits. Can he fit a detective cap over his wonky ears and catch the dastardly pi-RATS? If you like Mr Gum, you’ll love this yucky funny!